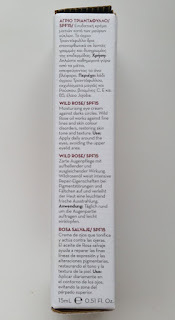 It comes packaged in a white tube that holds 15ml of product with a screw cap to access it. It has a red block on the tube with product information on it, but even though I only purchased mine about three-four weeks ago, it seems to have undergone a slight design change. The cream itself is beige in colour and of medium consistency, not too thick and not watery. Apply a small amount of cream underneath your eyes or directly onto your fingers and gently massage into the under eye area until absorbed. Only a little is needed as a bit goes a long way. The first, and possibly most important thing, to discuss with this eye cream is how much to use. With some eye creams it may be possible to use quite a bit at a time, but with this you do need to be careful with how much you apply. As with some other eye creams, this can make the eyes water and sting if you use too much, apply it too close to the lash line or apply it on the upper lid. 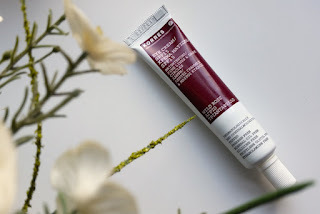 With the PSA out of the way, I have found that with continued use, this Wild Rose Eye Cream really helps to firm up the eye area and reduce the appearance of dark circles. For me, the main issue is dark circles. Whilst I was using a different eye cream for dark circles right up until I swapped to this cream, I still noticed a slight adjustment period. When I say that, I mean that it doesn't start working from the offset, but it takes a bit of time to show what it is made of. I noticed my dark circles became a little darker (or more "back to pre-eye cream era") for a few days before they began to brighten up again, but this time they were a lot perkier than they were before. 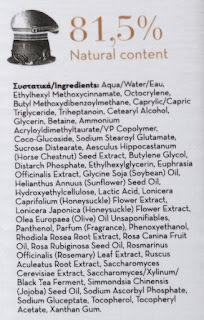 I currently use it both morning and night and it sits well underneath makeup which I know is an important factor for a lot of people. I do recommend letting it fully absorb and waiting for a short while before applying makeup though as otherwise it might cause some issues. 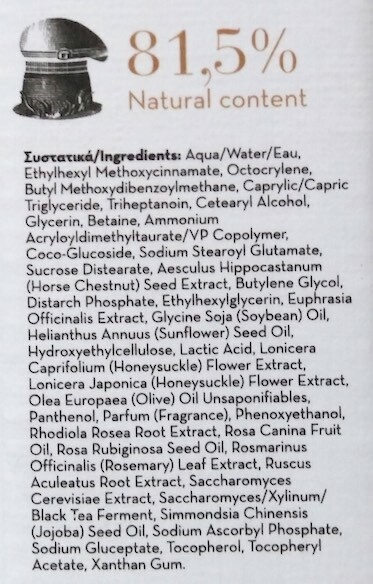 In some ways, this product reminds me of Balance Me's Wonder Eye Cream in regards to results and because I know that other people have had some eye-watering issues with it like I did with this, but as long as you remember not to go overboard, eye-watering and irritation shouldn't occur. I made the mistake when I first bought it thanks to my previous eye cream needing a bit more applied to show any results, but really, don't go mad. Overall though, putting eye-watering issues aside, I do really like this product. My eyes look brighter and look firmer, which is exactly what it claims to do. It won't work over night, but very few products do! Give it the time though and it works well. 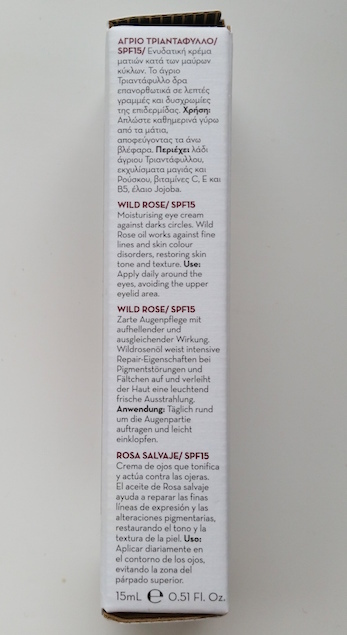 You can purchase the Korres Wild Rose Eye Cream for £16/15ml (at the time of writing it is £16, but it is usually £20) from Look Fantastic or Korres for €31,90. 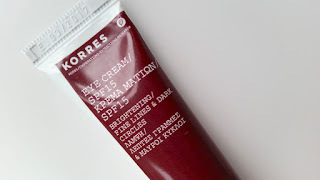 What are your thoughts on Korres' Wild Rose Eye Cream? What's your favourite eye cream?